Leading Manufacturer and Exporter of Rubber Cord such as Silicone Rubber Cord, EPDM Rubber Cord and Nitrile Rubber Cord from Mumbai. Having rich experience in this domain, we are engaged in manufacturing, supplying, wholesaling, trading, retailing and exporting Silicone Rubber Cord. The cords we offer are manufactured at our wide manufacturing facility, making use of high quality rubber. Additionally, our cords are thoroughly checked by our expert quality controllers, thereby ensuring delivery of flawless products. 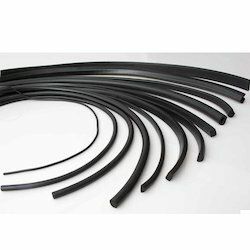 Established in the year 2006, we have attained apex stature among trusted manufacturers, suppliers, wholesalers, traders, retailers and exporters of optimum quality EPDM Rubber Cord. These cords are designed and made with precision under the guidance of deft professionals. Furthermore, depending upon the clients' demands, we have been competent in providing seamless cords to the customers. For the diverse requirements of our clients, we are involved in offering a wide range of Rubber Cord. These Rubber Cords are made from high quality raw materials. 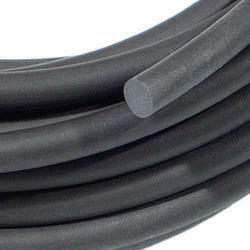 These Rubber Cords are made from tested silicon rubber which ensures long life and good strength. The offered range of cords is manufactured using high quality raw material and latest technology in compliance with industry standards.